Waterfall Info: From the bottom, this is the third and largest waterfall on Persimmon Creek. Best seen during wet weather. 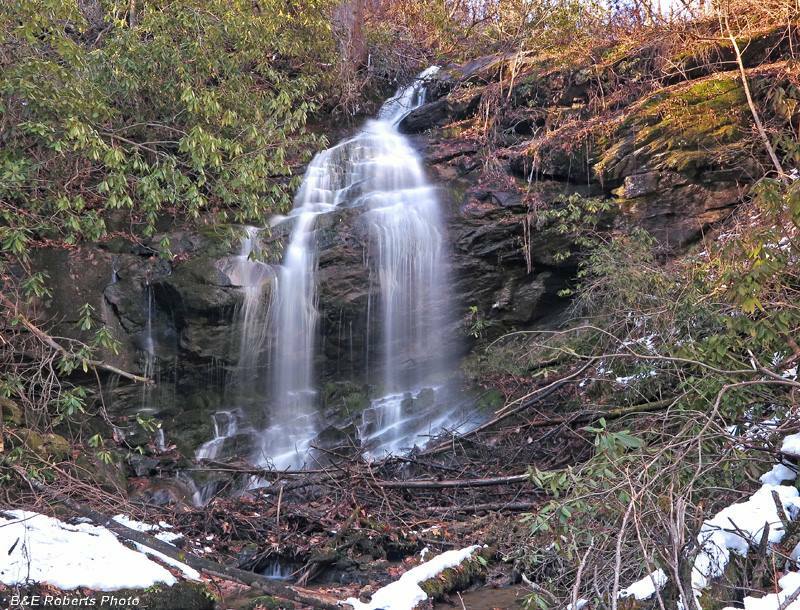 Access Info: A short but difficult bushwhack from Patterson Gap Road (FS 32) leads to this waterfall.